We have proudly provided legal representation for the Toledo Museum of Art, among the finest in the world, for many years. The internationally known Toledo Museum of Art houses a collection of more than 25,000 objects and has been a cornerstone institution of Toledo since local glassmaker Edward Drummond Libbey helped found the TMA in 1901. Marshall Melhorn has represented the Toledo Museum of Art in many significant matters. Notably, our firm provided legal counsel to the TMA during its last major expansion, when in 2000 a building was commissioned to house the museum’s glass collection. The Glass Pavilion opened in August 2006 to great acclaim. 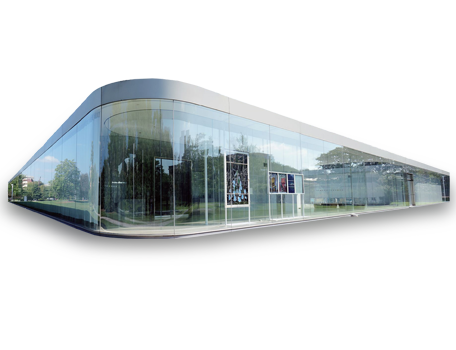 With its walls composed entirely of curved glass, the Glass Pavilion itself has often been referred to as one of the museum’s great works of art. The Toledo Museum of Art is viewed by the attorneys in our firm like many of the nonprofit organizations we represent, a community partner that must be protected for future generations. Through responsive legal representation, a willingness to volunteer, and various sponsorships, we proudly support the Toledo Museum of Art.